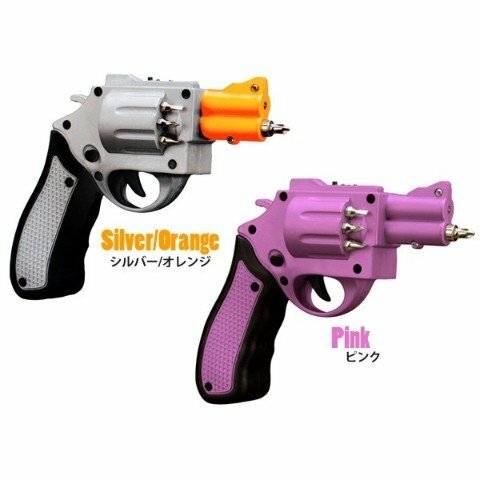 Revolver Shaped Screwdriver With Bits - Moar Stuff - You don't need it but you know you want it. 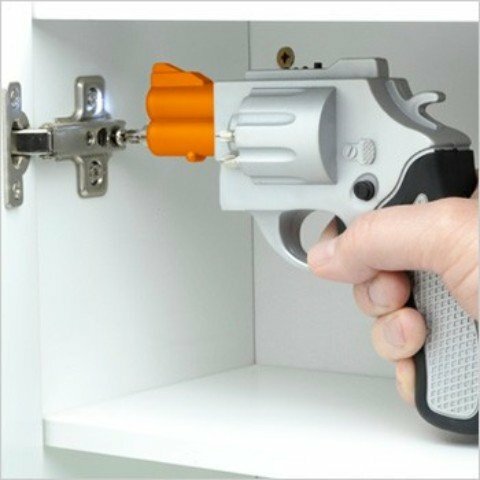 Fix your loose cabinet or any other appliance around the house with a few shots from the Revolver Shaped Screwdriver. 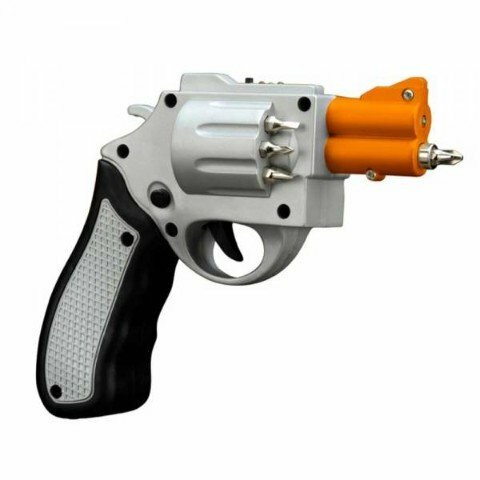 This powerful rechargeable screwdriver is shaped like a revolver and stores up to six different drill bits so you can blast your way through any repair job. This isn’t the kind of tool you’re going to want to hide away in the tool box in the garage, but be wary about wielding it out in public. The prominent orange barrel is a tip-off that this weapon isn’t real, but you don’t want to panic your neighbors when all you’re doing is fixing a hinge on the front door. You’ll have to provide your own shoulder holster, fedora, and mob contacts. Just pull the trigger and you’ll be blasting your way through fix-it chores in Untouchables style. 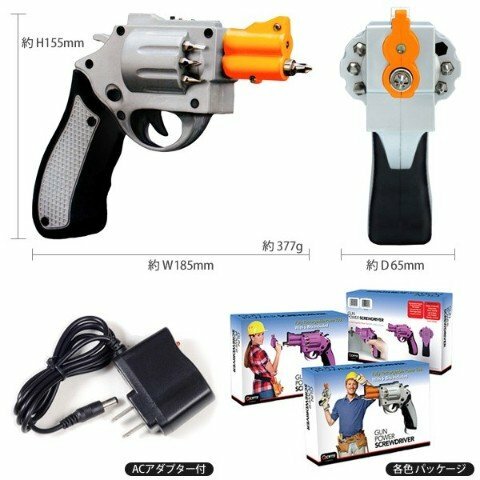 The 3.6-volt Revolver Shaped Screwdriver comes with six different bits and an AC adapter to charge it up. The bits, naturally, load into the cylinder for safe keeping. Dimensions: 14 x 9.5 x 2.8 inches.